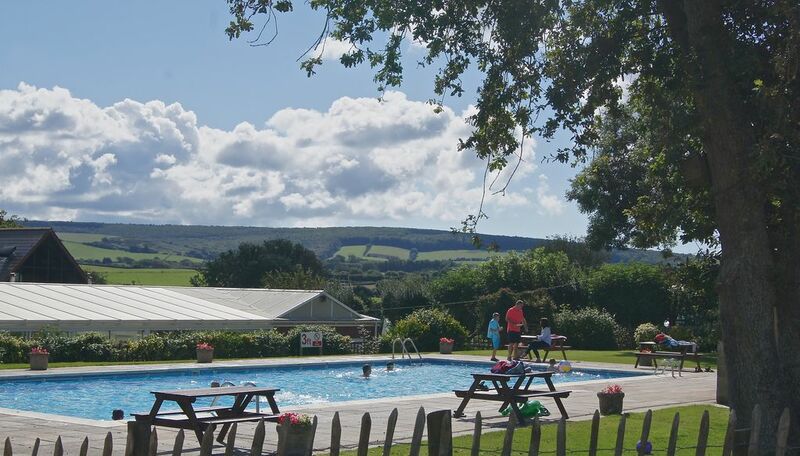 The holiday caravan is situated on The Orchards Holiday Park on the Isle of Wight which is an award winning, family owned, holiday park with high quality facilities, friendly staff and magnificent countryside views from all over the park. The Orchards has 5 pennants from The AA and is one of the best family owned holiday parks on the Isle of Wight. The holiday caravans are in a spacious area, with trees and shrubs around and pathways in between. They are of a very high standard, fully equipped with crockery, cutlery, fridge, microwave, shower and toilet, DVD player and TV. Bed linen is provided. The No 7 bus runs hourly from the entrance of the park to Newport and Yarmouth. The Orchards is only 10 minutes drive from Yarmouth and the Wightlink ferry terminal. Yarmouth is a quaint little town with shops, art galleries and cafes to enjoy. The Isle of Wight is a treasure trove of beautiful beaches, exciting festivals, historic buildings and numerous sports and past times, and should not be missed. Please contact the Park directly for information on booking ferries from Southampton, Portsmouth or Lymington.